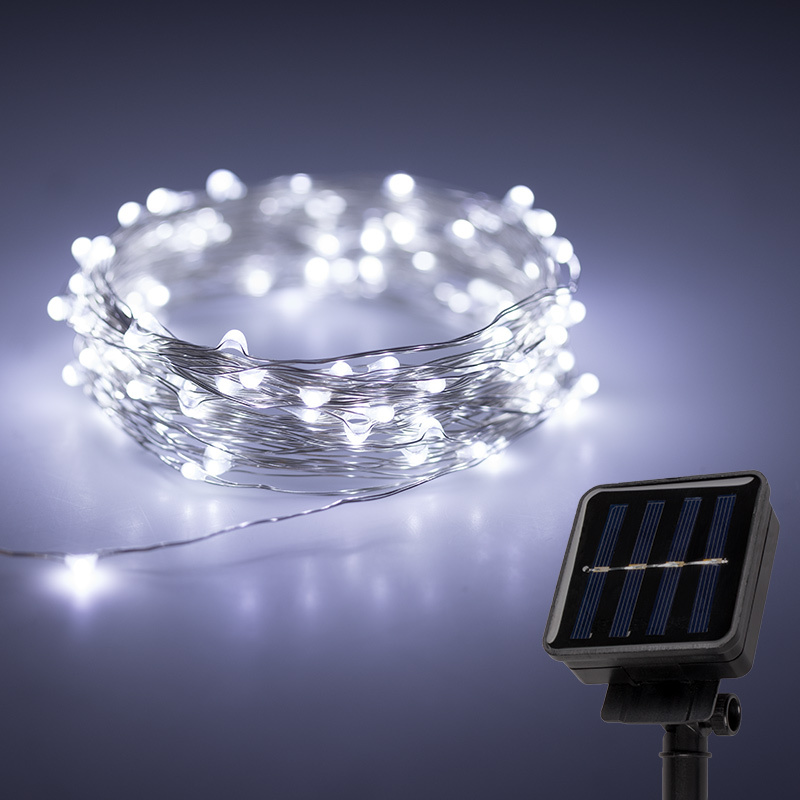 Use these solar-powered LED Fairy Lights as gazebo lights, patio lights, deck lights, ivy lights, and for other outdoor lighting needs. 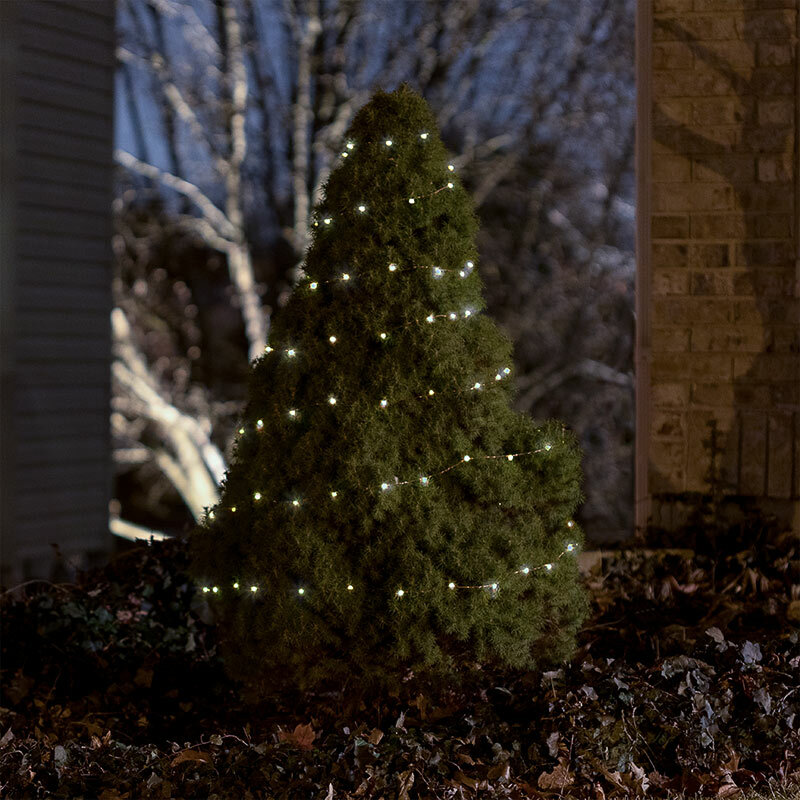 The LED fairy string lights are evenly spaced on silver wire that can be bent to accommodate any shape. 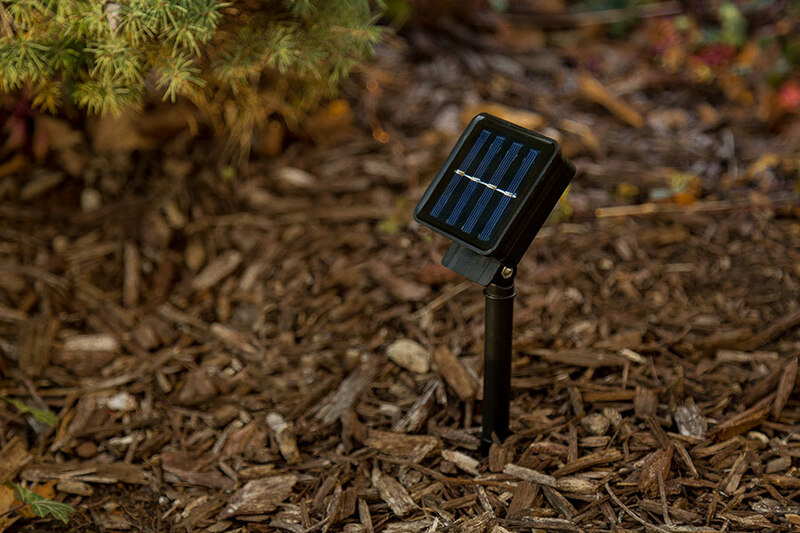 These LED Fairy Lights emit static or flashing cool white illumination that is controlled by on/off and mode buttons on the solar box. 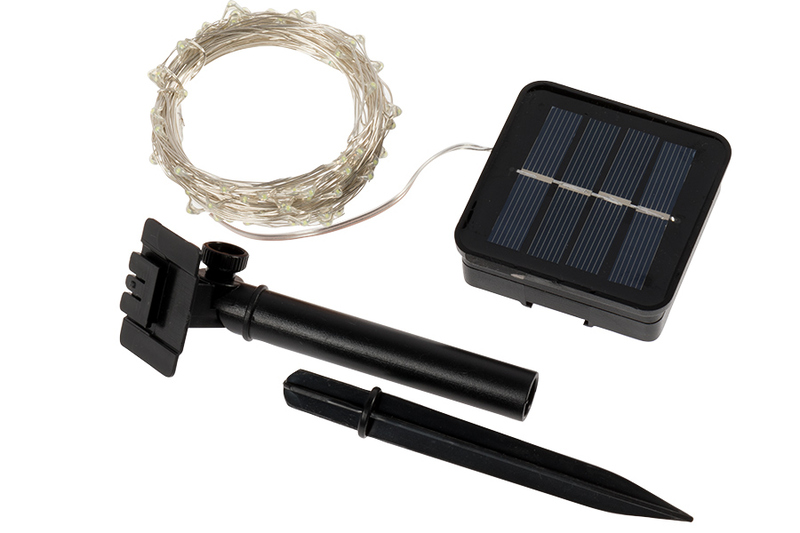 Strands measure 32' total (31' lighted length and 1' cord length). 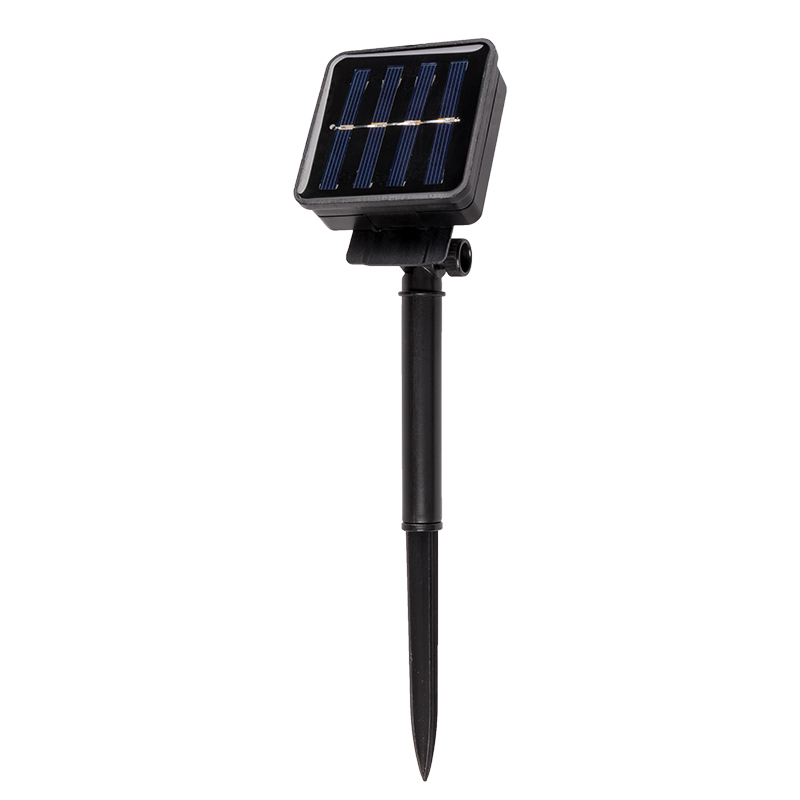 Includes a ground stake with an adjustable solar panel mount.